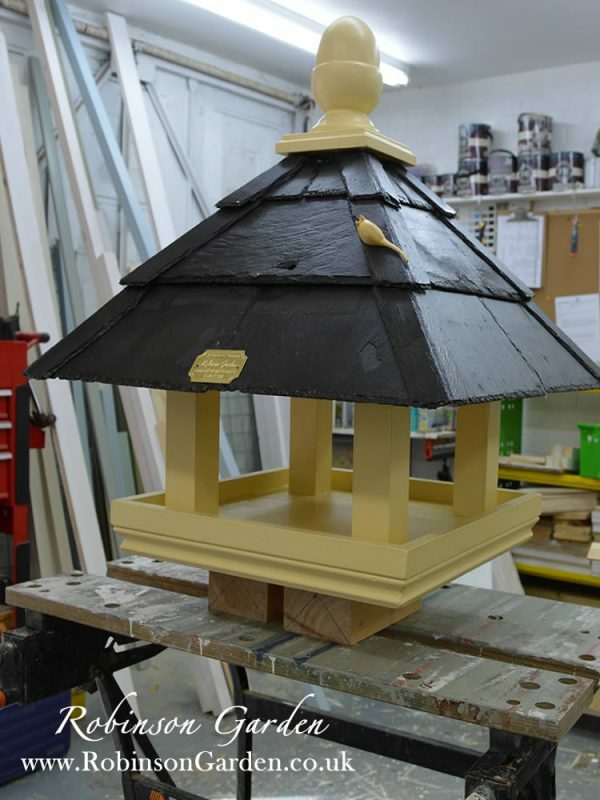 A beautiful and bespoke wooden bird table finished with a reclaimed Welsh slate roof. Can be used to position on a smooth surface such as a table or tree stump. Alternatively you have the option to hook onto a bracket. All hand-painted in a selected range of exterior eggshell Farrow & Ball colours. 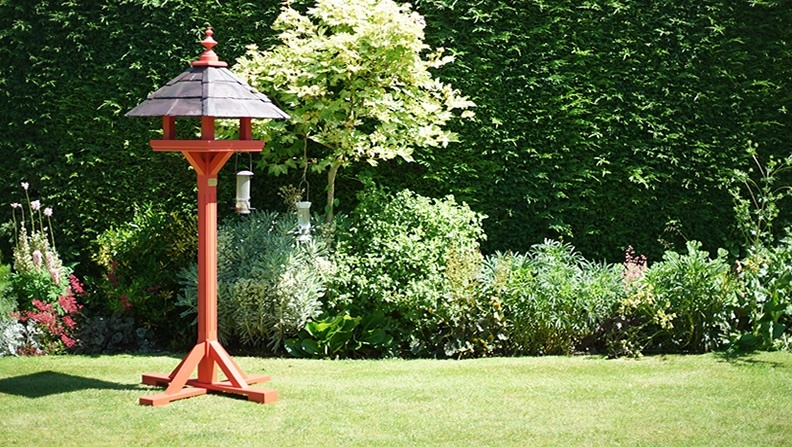 This beautiful bird table is suitable for a wide range of wild birds. Reclaimed Welsh slate roof, famous for it’s quality and distinctive colour. Our signature Wooden mouse added to all of our bespoke bird tables. 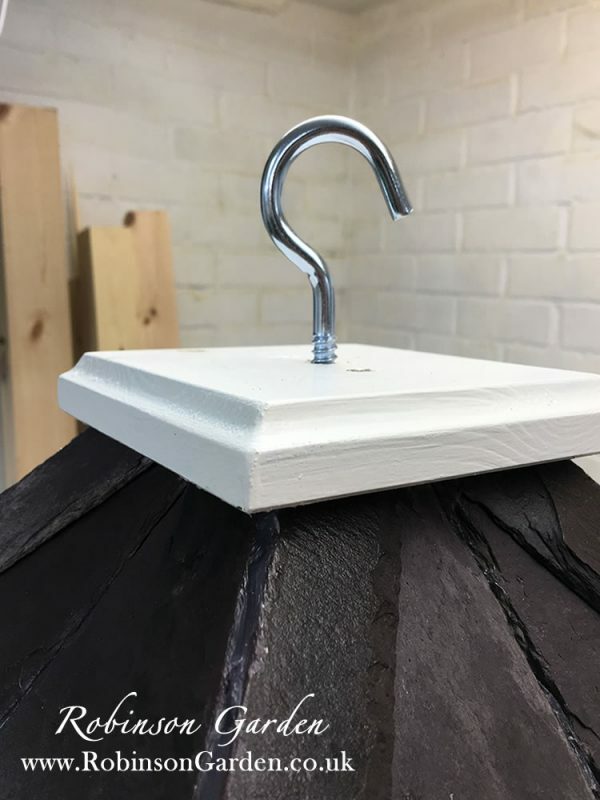 Our beautiful and bespoke collection of wooden bird tables are finished with either a reclaimed Welsh slate roof or wooden roof depending on your own choice. The Willow bird table can be easily fitted onto a smooth surface such as a tree trunk or table with the choice of finial or hook. 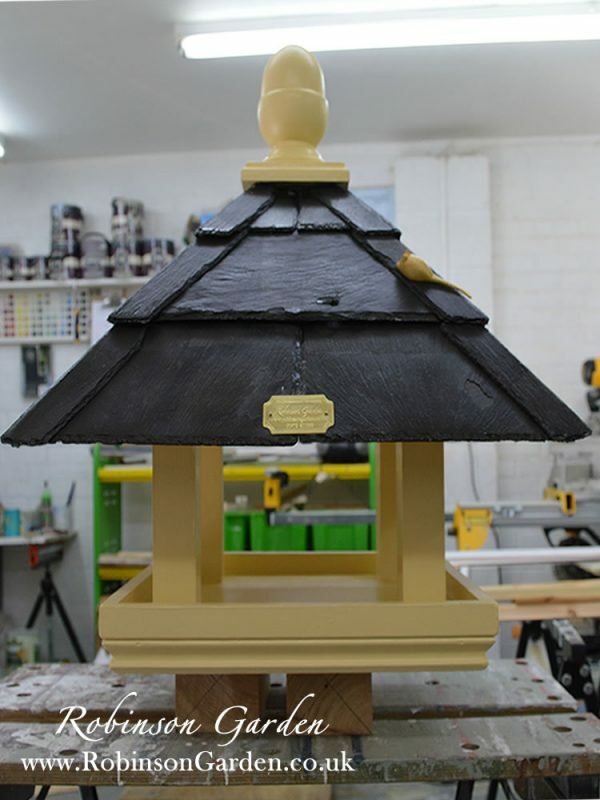 All of our bird tables also come with our signature finishing touch wooden mouse. A unique finial is individually and uniquely designed and handcrafted by our in house carpenters using our top of the range lathes. Please be aware that no unique finial is the same! If you choose a unique finial our carpenters will choose a design based on their own design flare at the time.